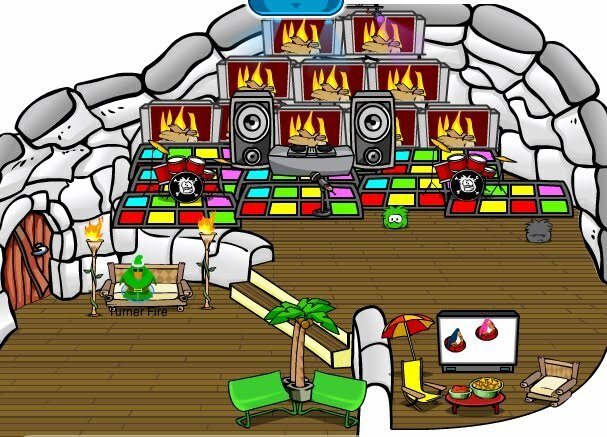 this is a picture of my house and my penguin.sorry i havent been on awhile. at the plaza there is a sail boat hat the pin is at the ski village in a treasure chest. The ship is here there are a pirate bandana and captains coat and a porthole a steering wheel. If you want to get the blue cape click on the 3D glasses then you will get the blue cape. 2.If you want the red and blue viking helmet go to the Kimono and click on the leaf by the right. 3.Go to the home page and click on the n for night club then it will be a Ninja. 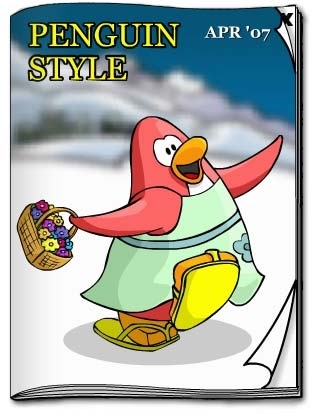 4.Click the penguin above the sign play now then it will change. 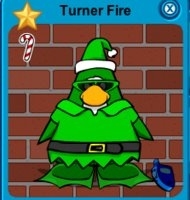 5.Go on clubpenguin and press the plus and equal sign next to the back space then it will look like a video camera. 1.In the light house on a picture frame and a egg in the telescope at the light house. 2In the coffee shop in the mixer. 3at the mine outside in the pipe. 4In the pizza palor at the light what flickers. 5. At the underground pool wait for 5 seconds then it will be there. 6.Go to town and click the gift then it will be there. 7.Go to the boiler room and look in the draw. Go on the news paper and go to jokes and were it says jokes click on it then there will be more jokes. the hat is at the mine the mask is at the beach and the pin is at the dock. 1.go to the home stereo and click on the button. 2.click on the winter boots to get 3D classes. the pin is at the lodge attic it is a pot of gold.